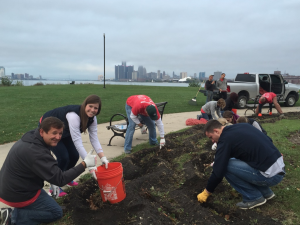 Volunteers from Quicken Loans planting daffodil bulbs near Sunset Point on Belle Isle. 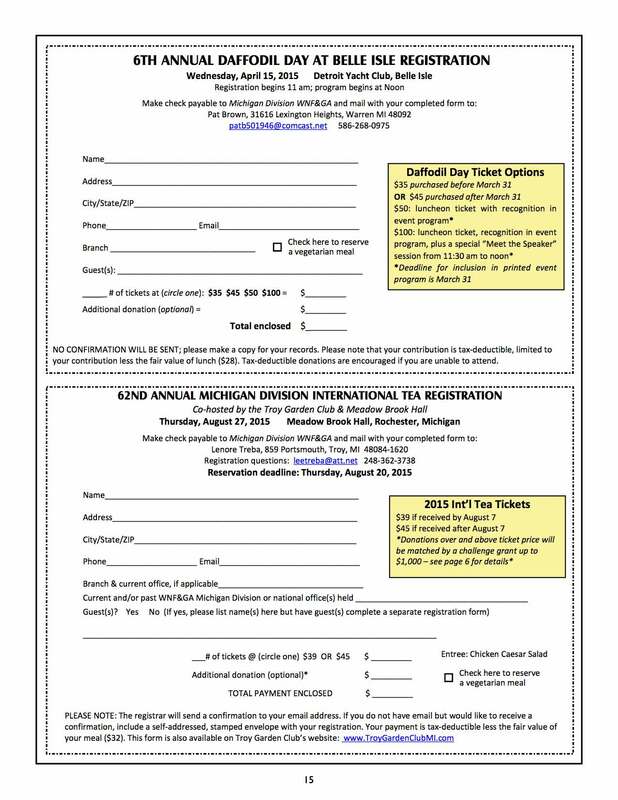 This autumn, at least 70,000 daffodil bulbs will be planted on Belle Isle State Park due to the affords of the Michigan Division of the WNFGA, (including the Indian Village Woman’s Garden Club), generous donations from the Michigan DNR and other donors. About 100 Quicken Loans volunteers planted daffodils at Sunset Point, Belle Isle Boat Club, and the Model Yacht Basin. U of D Jesuit High School students planted near the Dossin Great Lakes Museum. Individual families and volunteers planted around the fence at the Conservatory. The DNR staff planted near the Detroit Yacht Club. According to Robin Heller, “Our ‘signature’ design is becoming the serpentine beds along the roads. 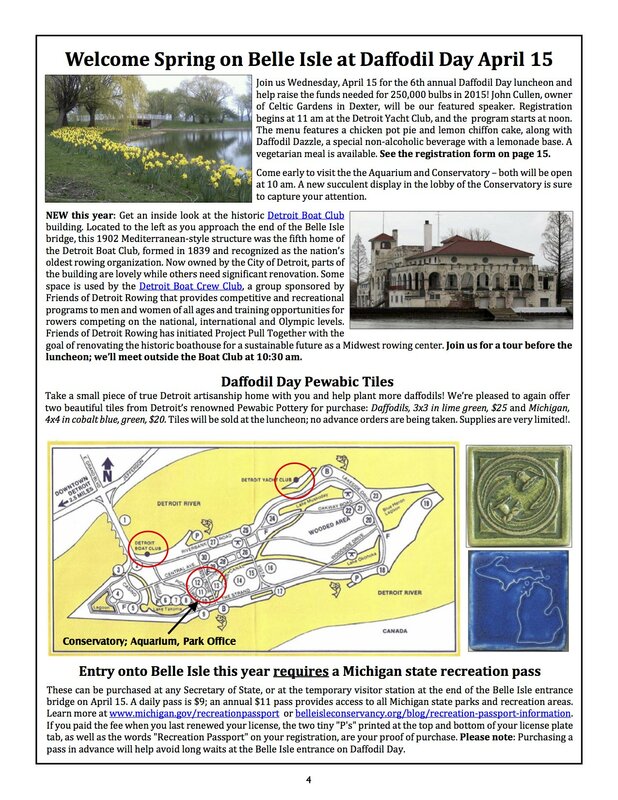 If you recall what the daffodils looked like in front of the Detroit Yacht Club last spring, you know what that design looks like – very eye catching, attractive, and photogenic”.